This blog will explain on how we can save the work and transport our objects from one system to other. We will also address some issues faced by users in the HCP trial MDC account i.e if there is no activity for a certain amount of time your data/objects are erased. Since there are huge number of active SAP users accessing the trial account of HCP, it is difficult to keep the work and resources allocated for the trial accounts for a long period of time. Hence, the MDC connection is valid for 12 hours from the time you start. After 12 hours if you want to continue using the MDC, you will have to re login to the HCP trial account and restart it. But then, if you don’t use it for the next 7 days, all the objects will be wiped out. 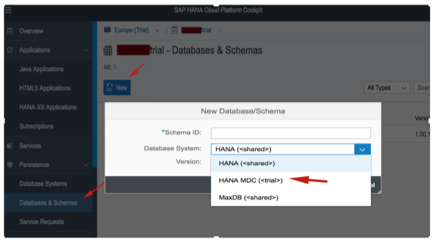 Now, if you have a HCP trial account, you can get free access to the SAP HANA Multitenant Database Containers (MDC) feature that enables hosting multiple SAP HANA databases on a single SAP HANA system. All tenant databases in the same system share the same system resources (memory and CPU cores) but each tenant database is fully isolated with its own database users, persistence (data files and log files), catalog, repository, and services. And now you can use all this on a trial landscape. You can have only one tenant database per HCP trial account. Some users might want to use Eclipse for developing on SAP HANA. Below is the link for the installation of various SAP development tools. 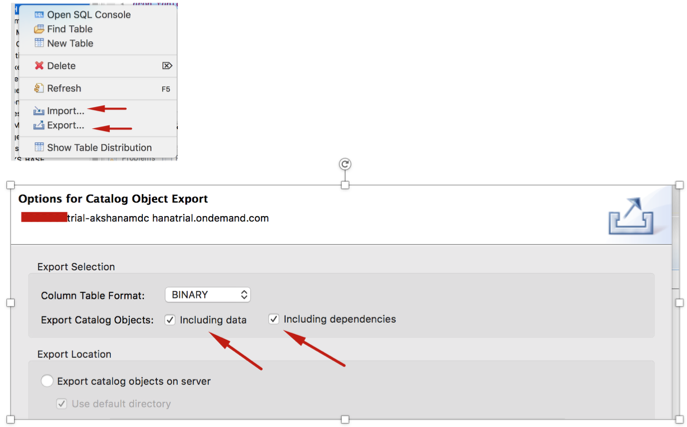 Use the below URL to update the SAP HANA dev tools and select appropriate components. Once the necessary softwares are downloaded, Open eclipse in SAP HANA development perspective and connect to the SAP HANA MDC instance using the “ADD Cloud System “option. If you don’t use the MDC for 7 consecutive days, all the data will be wiped out. There is no direct way to overcome this, but, we do have workarounds for the same. Create a dummy table with a small primary key. Every 6 days, please ensure that you login to your HCP account and start the MDC instance and add a single record with unique key into the table using web ide/eclipse. This will ensure that there is some activity going on in your MDC instance of HCP trial account. Once you complete some development, please export all the work including catalog objects and content/data/dependencies. If you lose the data due to non-activity in the HCP trial MDC, you can restore back the work using the import option. While importing, make sure that the schema name is the same. If you want to change the schema name (say from my_schema1 to my_schema2), then do a “replace all” of all occurrences of my_schema1 to my_schema2 using notepad++ or any other advanced text editor in the exported folder. Also rename the export subfolders from my_schema1 to my_schema2.